Lucien Favre’s Black and Yellow Submarine on Saturday rolls into Gelsenkirchen for yet another test of what is proving to be a memorable campaign. Borussia Dortmund are seven points clear of the chasing pack, four matches to annual winter break. 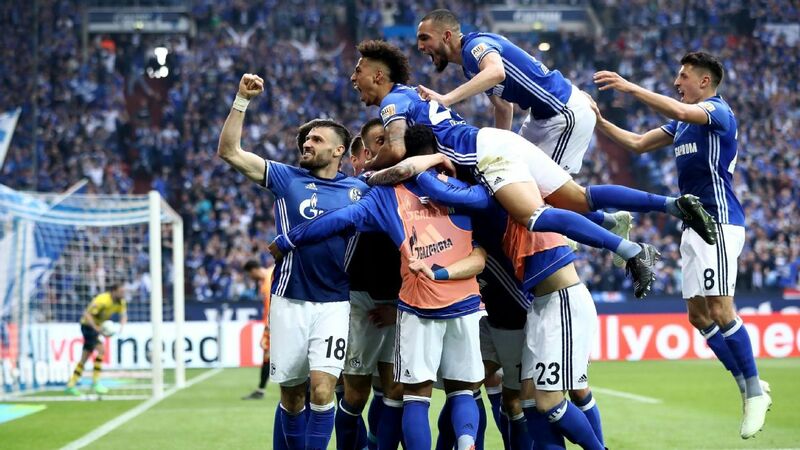 If they can negotiate safe passage past Domenico Todesco’s resurgent Schalke, Favre’s side will be ever so closer to being named winter champions – which is usually a precursor to winning the Bundesliga title. Last season’s deputy champions Schalke have recovered from a nightmare start that saw them lose all four opening rubbers, to climb to a position of mid-table safety. Despite enjoying better fortunes in Europe where they are in with a shout of reaching the knock out rounds, Schalke faithful still consider this as a hit and miss season. A victory over unbeaten Dortmund can however soothe their misgivings. Champions Bayern Munich’s enigmatic inability to convert territorial superiority and possession into maximum points is causing manager Niko Kovac sleepless nights. But the Bavarians are heavily favoured to win their first home rubber in five outings when they welcome wayward Nuremberg to the Allianz Arena. Dieter Klaus Hecking’s Borussia Moenchengladbach will be aiming to bounce back from last week’s defeat at Red Bull Leipzig when they host lowly Stuttgart. Gladbach boast an impregnable record at Borussia Park where they are yet to drop any points. Other fascinating match-ups to look forward to include the visit of free scoring Eintracht Frankfurt to Hertha Berlin; Hoffenheim’s trip to Bruno Labadia’s Wolfsburg, and the duel between Ralf Ragnick’s resurgent RB Leipzig and Freiburg.